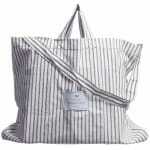 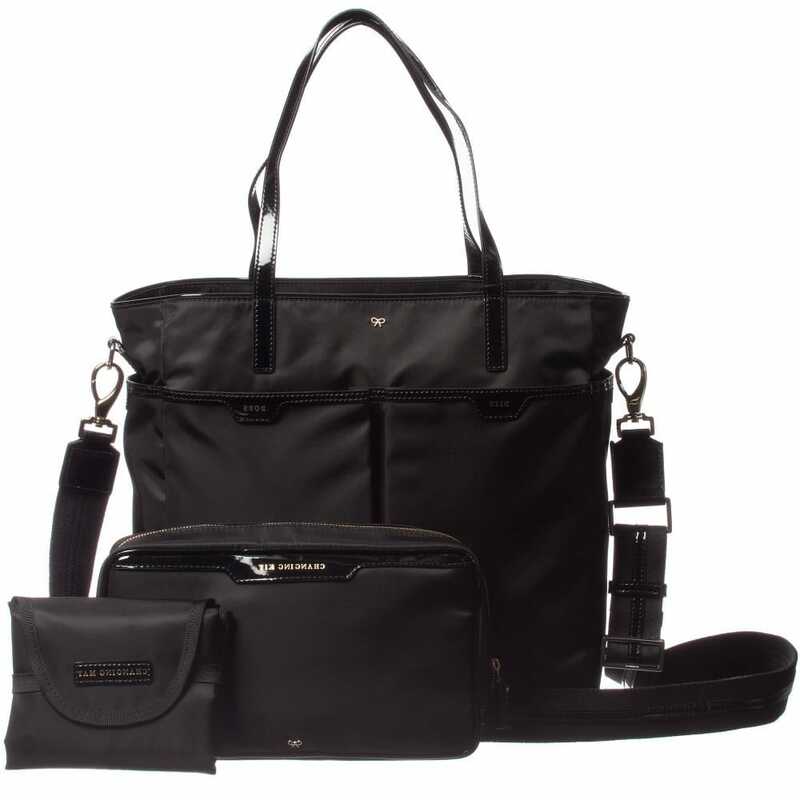 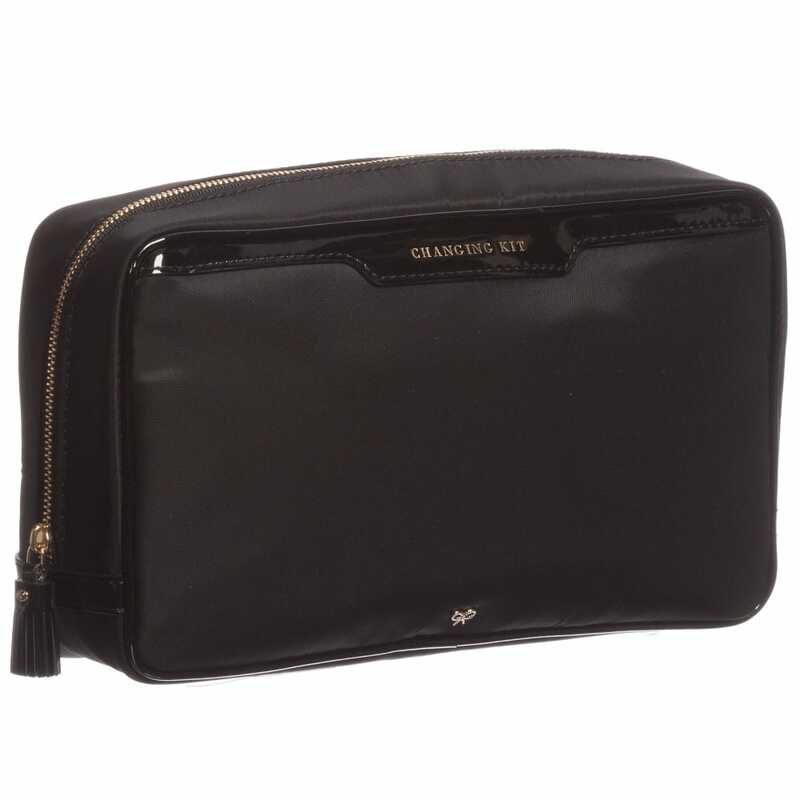 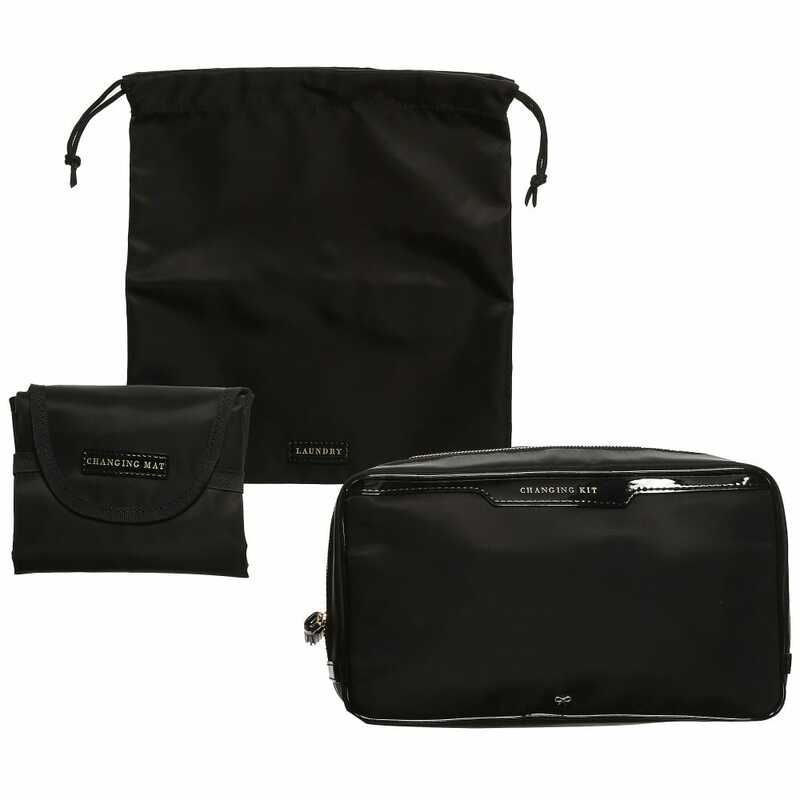 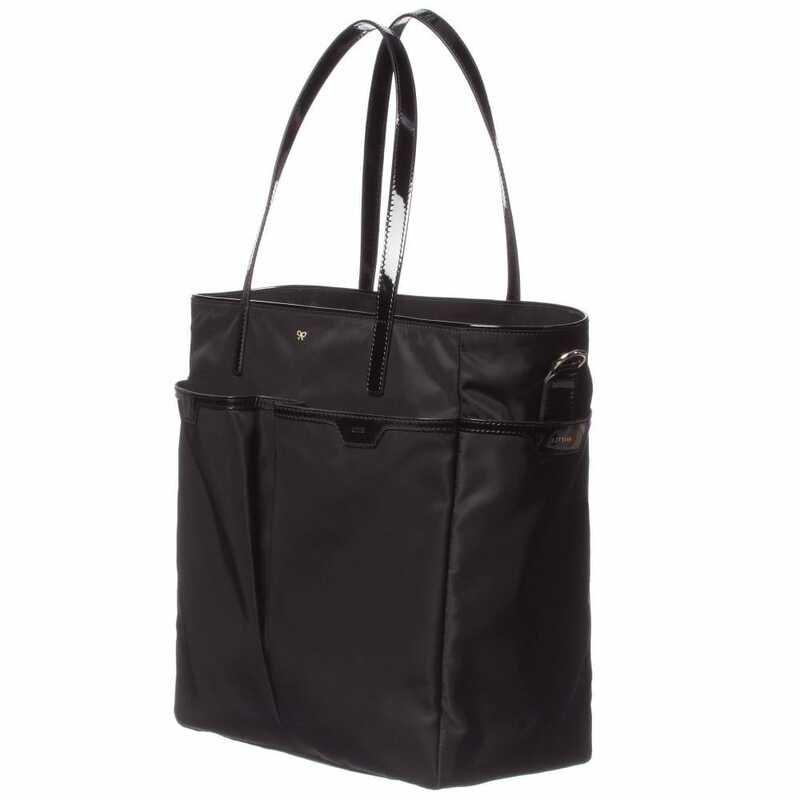 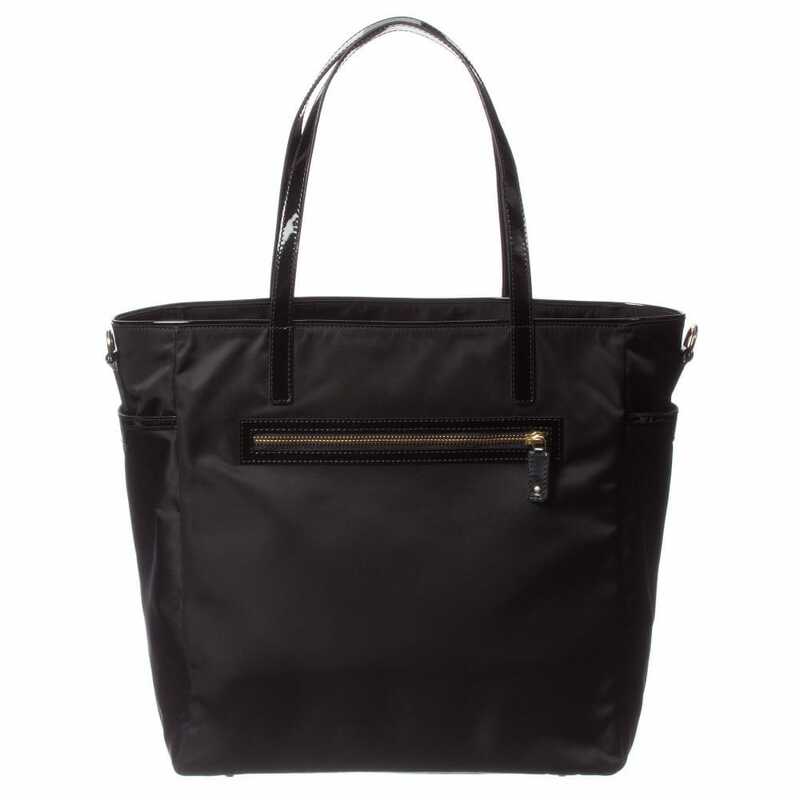 This unique and indispensable black nylon baby changing bag by Anya Hindmarch has a lot useful pockets with a lot of labels, such as for ‘clean clothes’, ‘books’, ‘bits’ and ‘bobs’, ‘bottle’, there is also a zip compartment. 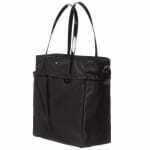 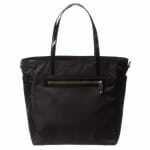 With this bag you will always be organized. It is decorated with designer’s signature gold bow logo and comes a diaper bag and a changing mat. There is an adjustable shoulder strap for an extra comfort.